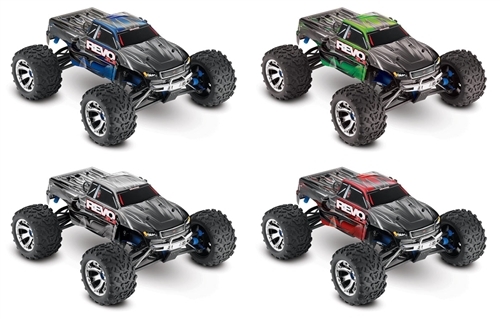 This is the glow powered, radio controlled, 1/10 scale 2.4GHz Traxxas Revo 3.3 Off-Road Ready-To-Run Monster Truck. 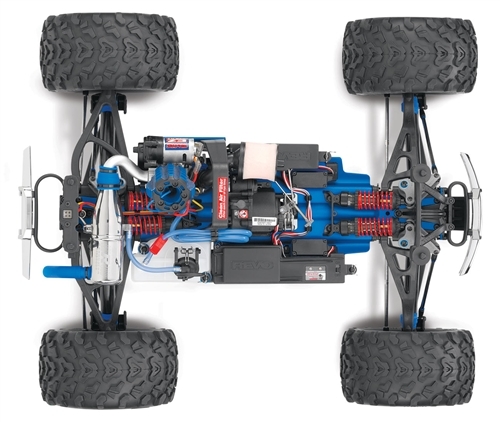 with Traxxas Stability Management. steering direction on loose dirt, concrete and even ice and snow. 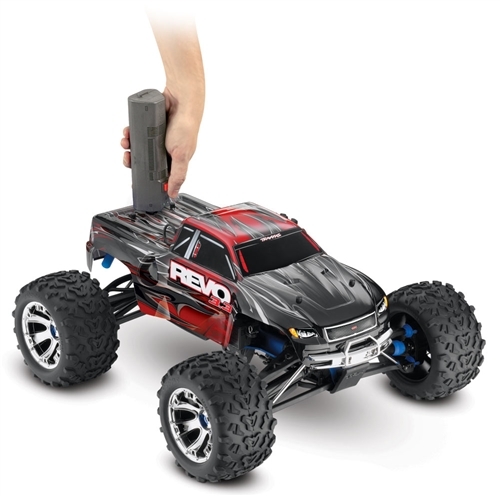 knob on the TQi transmitter or the slider in the Traxxas Link app. 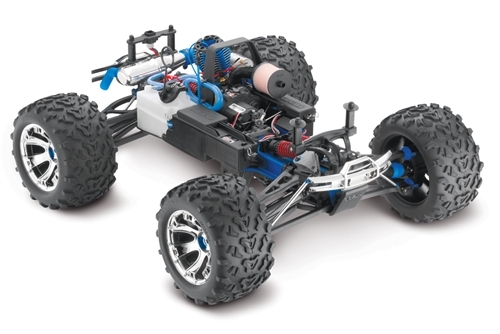 Chassis: 6061-T6 aluminum 1/8" (3mm) thick 3D semi-monocoque, 1.2"
Tires: 6.3" (160mm) outer diameter Maxx with foam inserts, 3.3"